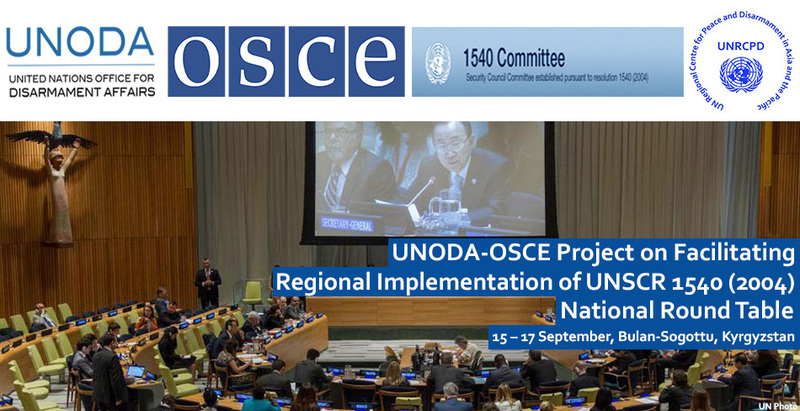 New York, 14 September 2016 (Office for Disarmament Affairs) — The Organization for Security and Cooperation in Europe (OSCE) and the Government of Kyrgyzstan, with the assistance of the United Nations Regional Centre for Peace and Disarmament in Asia and the Pacific, jointly organized a national roundtable meeting to review the National Implementation Action Plan (NIAP) on the implementation of United Nations Security Council resolution 1540 (2004). The meeting took place from 15 to 17 September 2016 in Bulan-Sogottu village of the Issyk-Kul province. Representatives of ministries and state agencies of Kyrgyzstan responsible for implementing resolution 1540 met to share experiences and discuss progress in their work. The Government of Kyrgyzstan adopted the NIAP on 22 March 2013. 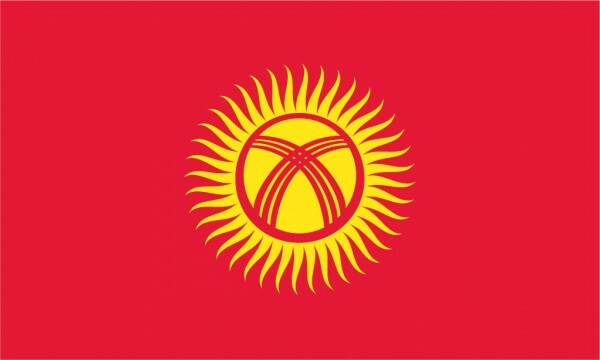 The meeting focused on Kyrgyzstan’s effective practices in implementing United Nations Security Council resolution 1540 (2004) to prevent the proliferation of nuclear, chemical or biological weapons and their means of delivery to non-State actors. Over the two and half days of the roundtable meeting, the participants discussed relevant national measures to effectively implement the resolution. This included legislative developments and enforcement measures undertaken by Kyrgyzstan since the adoption of the NIAP in March 2013. Representatives from the Government of Kyrgyzstan, the 1540 Group of Experts, United Nations Regional Centre for Peace and Disarmament in Asia and the Pacific and the OSCE discussed Kyrgyzstan’s national implementation status as well as possible assistance. Special attention was paid to the role of relevant national stakeholders in ensuring sustainability of the progress achieved so far, as well as the need for new national measures to amend this important document. For further information, please contact Anton Martyniuk at anton.martyniuk@unrcpd.org.